One of the greatest books in all of history, The Bible, has been read by more people than any other published work ever. In fact, people have been sharing the stories in The Bible for longer than it has been a book. Translated from the three most ancient languages on Earth, the text has been studied more than any other writing in the history of the world. In these studies, historical context has helped us to validate and understand the meaning of many passages. History has been preserved through this text. 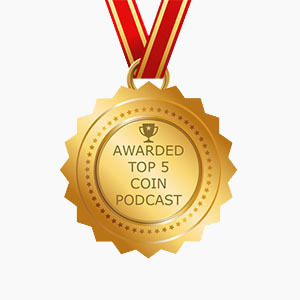 Coin collectors are more than people interested in money, coin collectors are people who collect snapshots in history and many study the times of their coins in order to develop a deeper understanding of how they came to be, how rare they are, and to develop the context of what they were in their own time. Ken Bressett has done just that with the most published work of all time. Money of The Bible is a history lesson rather than a theology lesson. 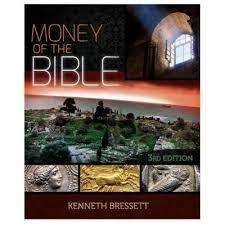 Instead of focusing on the people in the stories of The Bible, Bressett focuses on the mentions of money and through the context of the verses, identifies the exact coins that are being used. Of course the stories in The Bible start before the dawn of man, and historically work forward. Bressett starts with explaining a bit about this historical work and how it was written. To his credit, he makes no assumptions about the reader and makes this a great book for people who have little to no knowledge on the subject as well as for people who may know a bit more. He gives a chronology of the ancient world and its development into the first centuries of the Modern Era, giving the reader insight into the world and the times about which the book will focus. He also explains what was used for money and how trade was facilitated before coins. Bressett then sets out on a quest to confirm and verify as many of the stories and as much of the text as he can through known numismatics. Matching up stories and teachings with actual coins of the region and Era. It is only my opinion, but I think that Ken Bressett’s intention was to find every numismatic reference that he could find within The Bible and verify the stories through the facts that we know about the actual coins today. My favorite part of the book was the chapter on Parables, Lessons, and Coins. Bressett gives the text directly from the Bible parable and then shows us the exact coins being referred to. He helps to verify the facts of the stories by breaking it into things that can be determined, and then puts these elements together to create a deeper meaning. Stories like The Lost Coin, The Widow’s Mite, and The Good Samaritan gain new context because they are united with a piece of history that we can identify. It makes the parables seem less like general life lessons, and more like actual stories about real people. Stories selected as examples from real life in order to convey moral teachings. Bressett then goes on to verify as much as he can of the story of the crucifixion, possibly the most told story in Christianity, through the coins that were used in that place and time. He finishes with examples of coins that illustrate the spread of Christianity in the early years of the Modern era, and also tells the stories of coins that feature people from The Bible that have been made since. The book is what I would term a coffee table sized book, it measures over 10” wide and over 12” tall. It is a beautiful book to look at with illustrations that pull the reader in and envelope them in the journey that includes the “greatest story ever told” as well as many others. I have long appreciated the hobby books published by Whitman if not only for this reason alone. Their level of illustration sets their books apart from all of the rest. Many a guest will have their interest piqued if this were in front of them for very long. For those who would think that this is a book published mostly for those of faith, I would disagree. I would rather say that if you have an interest in Biblical study, that this is a fresh angle for you to view on many of these stories. If, however, biblical times and study aren’t necessarily your cup of tea, this is a great book for boiling down the legends and examining the artifacts for themselves and truly learning to appreciate an area of ancient coins that is not only rich in history, but also very well documented. Money Of The Bible can shed a great deal of light on people, times, and customs that we generally have only learned about from a moral perspective. It brings them to life in realistic and more understandable terms. It reminds us that The Bible is a book filled with stories about people. Kenneth Bressett has made it a mission to make these stories re-appear as actual history and presents it as history rather than a tale of religion or supernatural power. He has brought this piece of the heavens back down to Earth where it started, so that we can trust that it not only is a real book, but is a book about real people. For the layman as well as the biblical scholar, context adds value to this text. Coins provide the lens that allow us to view it as believeable. Congrats, Ken on helping to take something we know and help us learn something we may not know. You’ve taken a text that is traditionally only viewed from a single angle, and given us a look from new perspectives. Perspectives, that may have already been on our radar, but we may have been hesitant to use for this work.